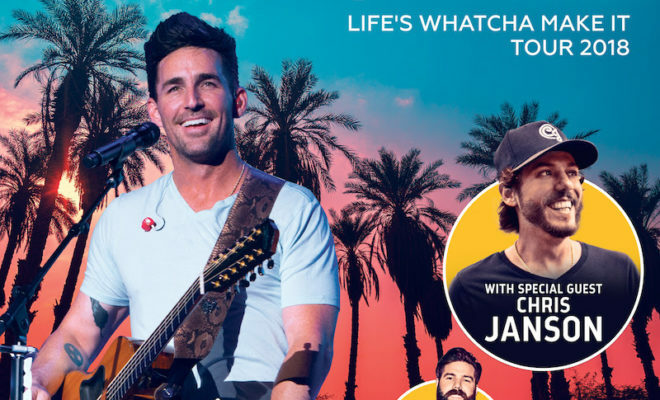 Jake Owen Announces “LIFE’S WHATCHA MAKE IT TOUR 2018” Featuring Chris Janson and Jordan Davis! Jake Owen just announced his “Life’s Whatcha Make It Tour 2018,” with most shows taking place at baseball stadiums across the country. Tickets will go on sale starting Friday, March 2nd at 10:00 a.m. local time. The tour features Chris Janson and Jordan Davis. GET TO KNOW JORDAN IN OUR INTERVIEW WITH HIM. Owen has partnered with CID Entertainment to offer three levels of VIP Ticket Packages on tour. 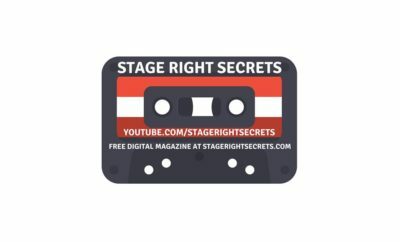 VIP Ticket Packages include a premium concert ticket and exclusive VIP merchandise. 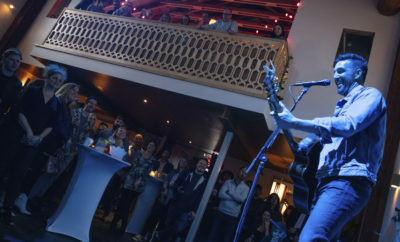 Fans can also opt-in to join Jake before the show for a ‘Good Company’ experience where he’ll perform two acoustic songs. Details on the Jake Owen VIP package can be found HERE. In addition, Owen has been in the recording studio working with award-winning producer Joey Moi, who produced Jake’s biggest hits to date: “Barefoot Blue Jean Night,” “Alone With You,” and “Beachin,’” to name a few. New music from Owen will be available on Wednesday, February 28th, details coming soon. ← Previous Story SunFest Revals 2018 Lineup!